The Systems Framework links and processes information across time and space, and includes Big Data Analysis processes. Big Data Analysis is the term for a collection of large and complex datasets that are difficult to process or understand using traditional database management tools or data processing applications. 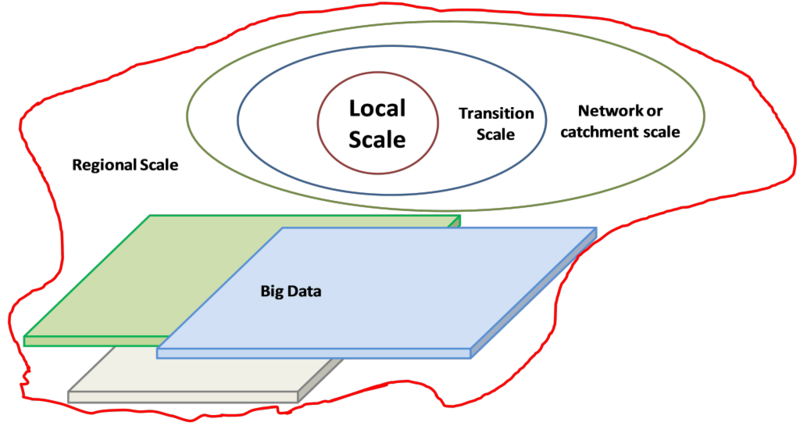 The analysis incorporates inputs based on large datasets (Big Data) from many disciplines in a Framework to understand the potential futures for cities and regions. Most parameters that describe the characteristics and behaviour of a metropolis are subject to strong spatial and temporal variation that is not often considered in the development of water policies. 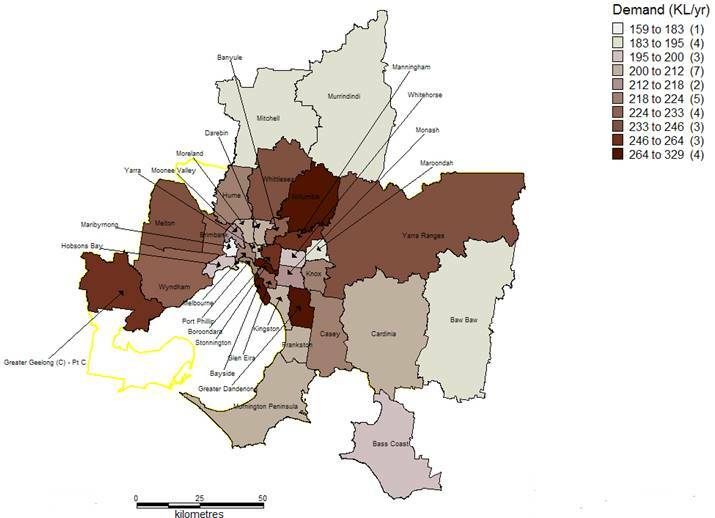 For example, water demand is dependent on demographic, climate and socio-economic parameters that vary across a city. 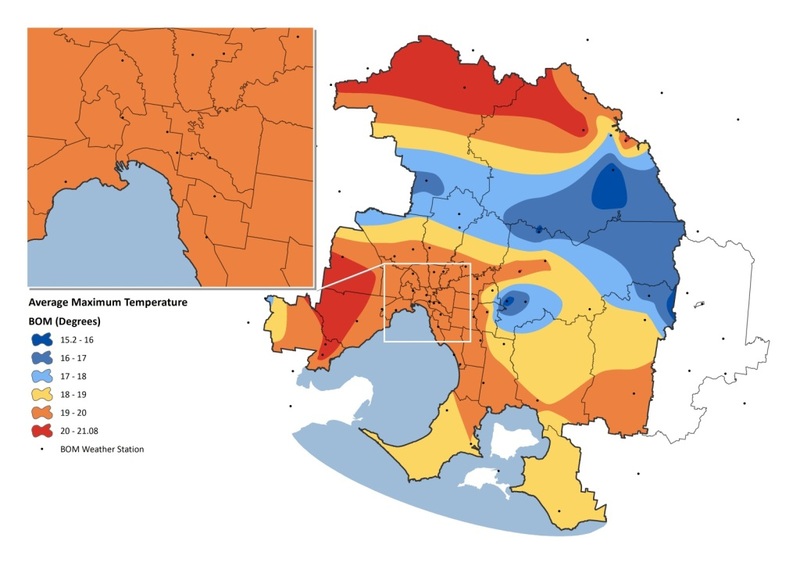 Considerable spatial and temporal variation in climate, stormwater runoff and water use behaviours are also observed throughout urban regions. Utilisation and linking of all available datasets such as topography can assist in understanding of the drivers of behaviours throughout a system. This allows simulation of future dynamics of the system and reveals the trade-offs between elements of the system. Examples of some of the big data inputs are presented below. Long sequences of spatial climate data allows continuous simulation of climate driven processes in the Systems Framework. For example a combination of topography and distributed rainfall sequences provides understanding of relative catchment and waterway processes. An important indicator is the spatial frequency of rainfall. Inclusion of sequences of minimum and maximum daily temperatures in the Systems Framework allows broader understanding of catchment processes and water demands. 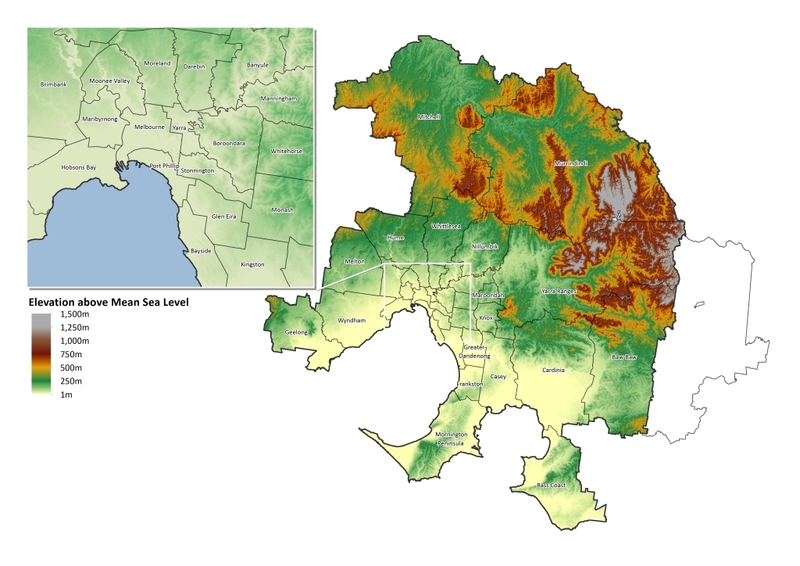 Incorporation of the timelines of the spatial distribution of personal or household incomes into the Big Data layers underpinning the Systems Framework assists in determining water use and economic behaviours across a region. However, addition of the spatial distribution of population growth in the Systems Framework assists in the determination of the dynamics of water demands, sewerage generation and stormwater runoff throughout a region. This provides information about the requirement for new infrastructure, flood risks and impacts on waterways. 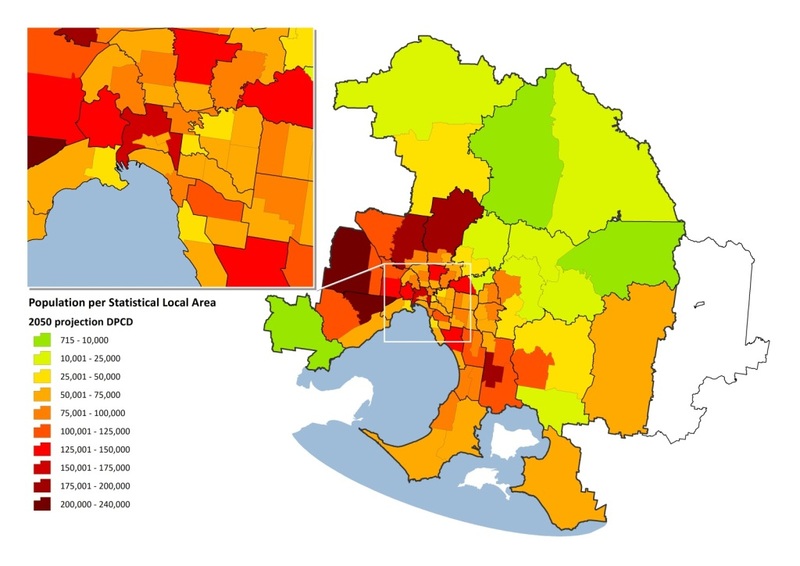 Big Data inputs: Spatial distribution of expected population in the Greater Melbourne region for 2050. The spatial distribution of household water use is an important input to the Systems Framework that assists with calibrating the behavioural water demand processes underpinning the analysis. 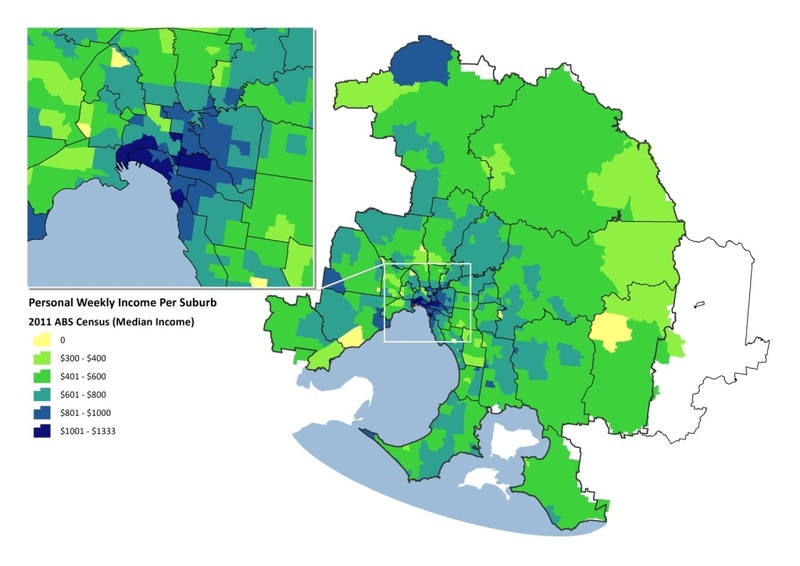 Note the strong variation in the household water use across the Greater Melbourne region shown below.